Asian markets turned lower on Monday as the correction that has hit global equities moved into another week, while the euro faced fresh pressure after German Chancellor Angela Merkel failed to form a government at the weekend. Traders tracked a sell-off on Wall Street, where all three main indexes finished in the red on profit-taking and worries that US lawmakers will struggle to push through Donald Trump's tax-cut plans. While the House of Representatives approved its version of the reform legislation and a key Senate panel cleared a different version, the Republicans' wafer-thin majority in the Senate mean they will have a tough fight to clear the upper chamber. Treasury Secretary Steven Mnuchin predicted a final draft would reach Trump's desk by Christmas, but observers said that time-frame would be tough given the tight margins and some senators' concerns over some of the measures. Hopes for market-friendly tax cuts as well as big infrastructure spending and deregulation helped fuel a surge in global equities this year. The losses in New York continued in Asia on Monday with Tokyo down 0.6 percent by the break, while Hong Kong and Sydney each shed 0.2 percent, Singapore gave up 0.1 percent and Seoul lost 0.3 percent. 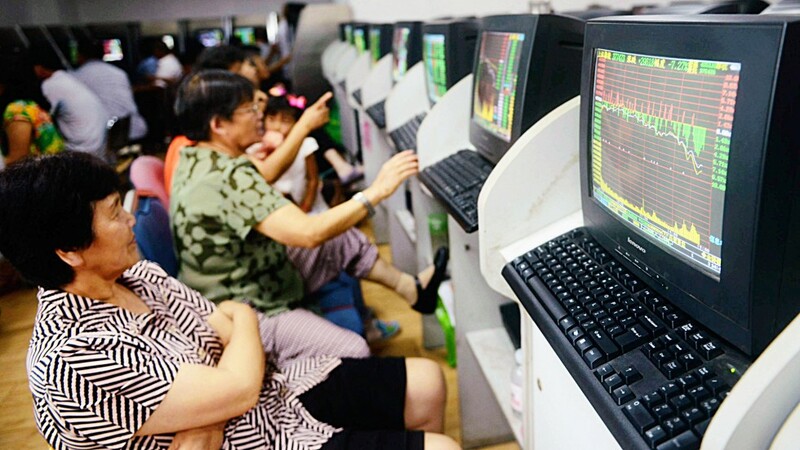 Shanghai tumbled more than one percent, with dealers there hit by Friday's announcement of a crackdown on the wealth management industry, which will regulate close to $15 trillion in assets, as part of a drive to address a huge debt mountain. On currency markets the euro fell after Merkel's attempts to form a new government for Europe's biggest economy collapsed -- plunging Germany into a crisis that could see it hold fresh elections. The leader of the pro-business FDP, Christian Lindner, walked out of talks, saying there was no "basis of trust" to forge a government with Merkel's conservative alliance CDU-CSU and ecologist Greens. There are fears the country could be gripped by months of paralysis with a lame-duck government, while Merkel's political future has also been called into question. "The news is negative for the euro, but its longer-term implications are not clear yet," Mansoor Mohi-uddin, head of currency strategy in Singapore at NatWest Markets, told Bloomberg News. However, while the euro has taken a hit, Stephen Innes, head of Asia- Pacific trading at OANDA, said he doubted the sell-off would be sustained. "Liquidity is exceptionally thin and could exaggerate moves. But this knee-jerk reaction does look a bit overdone as Merkel can still establish a minority government with either the FDP or Green Party," he said. Oil prices were mixed but both main contracts managed to hold on to Friday's surge that came after crude giant Saudi Arabia's energy minister Khaled al-Faleh said he remained committed to an OPEC deal to limit production.